Yes, that is usual for right-handed people. Perhaps it feels more natural for me to shovel food into my mouth with the right hand. Which hand do you use with a scalpel, craft knife, saw etc? Also, anyone, can you simultaneously pat your head and rub your tum - or pat your tum and rub your head - with either combinations of hands? I’m left-handed. Both my parents and both siblings are right-handed. However, I’m right-footed - I kick with my right foot. I can swing a bat with either hand, but I write and play guitar with my left. There was never any attempt to teach me either way. I have a story from the early 70’s in Italy. I had to get some visa papers notarized while I was living near Florence, and the notary was an old woman. She saw I was signing with my left hand. She said “you are left-handed. I’ve heard there were people like that.” Left in Italian is “sinistro”. Sinister. I couldn't use a fork with my left hand if I tried -- it would probably result in food smudged all around my mouth. Probably on my hair too. There is such a thing as sinistrophobia - fear of the left or left-handed people. I have a story from he early 70’s in Italy. I had to get some visa papers notarized while I was living near Florence, and the notary was an old woman. She saw I was signing with my left hand. She said “you are left-handed. I’ve heard there were people like that.” Left in Italian is “sinistro”. Sinister. I heard that in the olden days left handed people were forced to learn with their right, because it was believed that the left hand was sinister and the right was...well...right. And, traditionally, the baddies in stage plays enter the scene from the left. There's a sketch, probably Pythonic, where the legionaires are marching to the cadence, "Dexter, dexter, dexter, sinister, dexter..."
Any false starts, both hands patting or rubbing, before you get the rhythm? Some do find this difficult but I found it possible to "practice/imagine it mentally" for a couple of seconds for a perfect start. I did wonder once if there were low level signals to the muscles and micro-movements during the "mental practice". 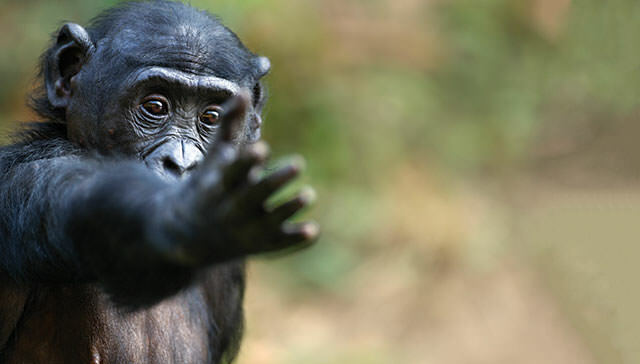 Handedness, a conspicuous but enigmatic human trait, may be shared by other animals. What does it mean for evolution and brain function? If I rub first, then start patting with the other hand, no problem at all. A bit challenging to start both at the same time. Ah! Damn, forgot to specify that! You are suppised to stsrt both at the same time . . .
You are changing the rules in the middle of the game! That's unconstitutional. An ex post facto law.